Opposition members will move to the Supreme Court against the rejection of the impeachment motion against the chief justice of India. Congress leader Kapil Sibal said the decision after Rajya Sabha chairman M Venkaiah Naidu rejected the impeachment motion. The former Union law minister told the media: “The order by the chairman is unprecedented, illegal, wrong and unconstitutional.” He said it was the first time an impeachment motion was rejected at the admission stage. “It is illegal because the chairman has passed the order which is required to be passed after conducting an enquiry,” he added. “We will move the Supreme Court to challenge the order,” he said. Earlier in the day, nominated Rajya Sabha member KTS Tulsi said the opposition parties had the option of moving the apex court against the order of the vice-president. “I think that this question of interpretation of the Constitution arises where it seems that the interpretation is incorrect and I believe that we can challenge this order in a court of law. He claimed that the impeachment notice given by members of the Congress and six other opposition parties last week had enough evidence. 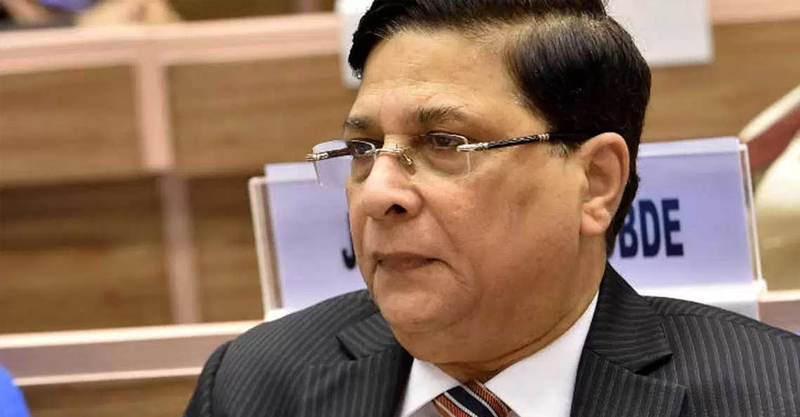 The impeachment motion against chief justice Dipak Misra was rejected on the ground that there was lack of “credible and verifiable” information on charges of “misbehaviour” which undermined judiciary’s independence. “We cannot allow any of our pillars of governance to be weakened by any thought, word or action,” Naidu said in a 10-page order, holding that admission of the notice was “neither desirable nor proper”. The chairman’s ruling came before proceedings opened in the Supreme Court on Monday apparently to enable the Chief Justice to continue his work uninterrupted. On April 20, 64 members of the Rajya Sabha submitted a motion to Naidu alleging five charges of “misbehaviour” against the CJI including conspiracy to pay illegal gratification in a case relating to an educational trust and the alleged violation of code of conduct for judges by presiding over every bench that heard the case and passed orders.